Embracing our creativity, deciding to pursue a creative endeavor, requires that we manage our fear. Creation makes us step outside convention. Stepping outside of what is known and accepted is often scary. Will we be accepted? Will our creation succeed? Any artist, writer, inventor, or entrepreneur has had to manage this particular tension. Our creativity, like an elastic, stretches only as far as our fear will allow. And at some point, we must face that tension and decide what will win, fear or creativity. 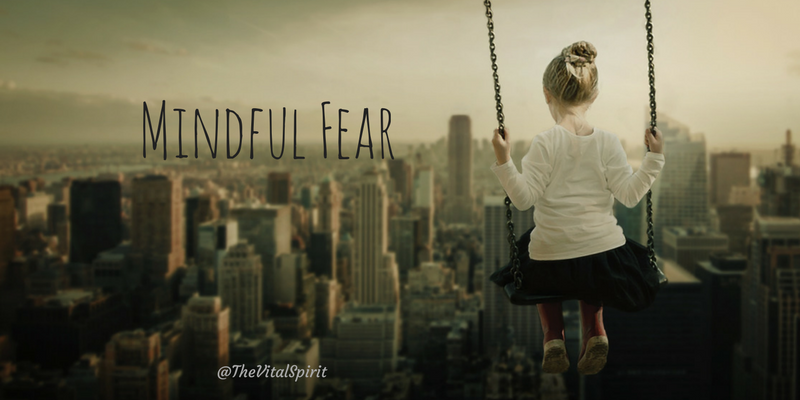 Mindful fear is about managing our expansion by being conscious of our fear, not suppressing it or allowing it full reign. Instead, speak to it, name it, and allow it room in your life. However, it is important to make sure that it doesn’t run the show. It can have a seat at the table, but not a say in the menu. How do you manage fear and creativity?